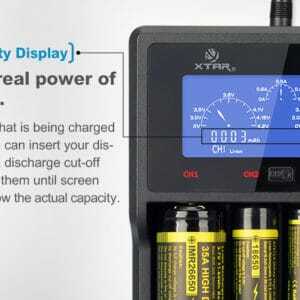 Fast charge your rechargeable batteries with this intelligent battery charger. 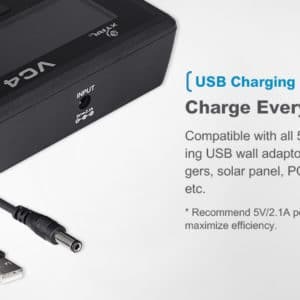 You can charge through USB of via the Mobisun portable solar panels. 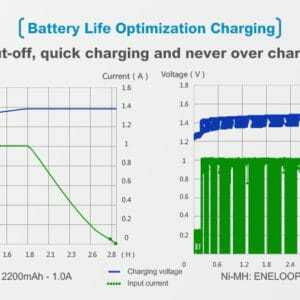 Now you can power up your batteries anytime anywhere. 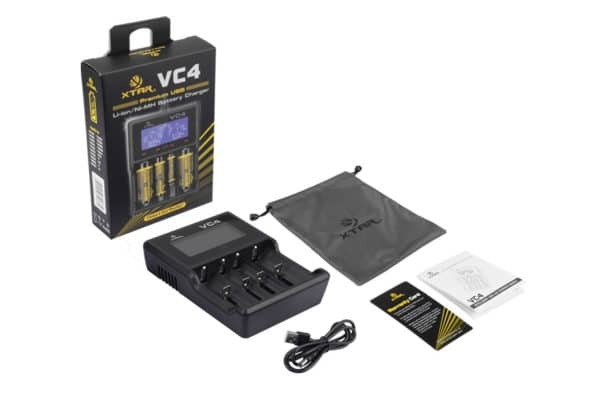 Recharge your rechargeable batteries at lightning speed via the intelligent XTAR VC4 battery charger. 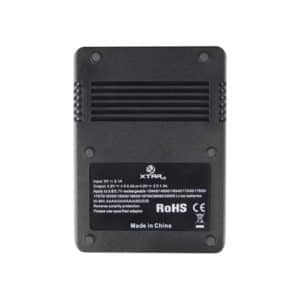 The high-quality battery charger works easily via a USB connection and can also be used perfectly in combination with the Mobisun mobile solar panels. 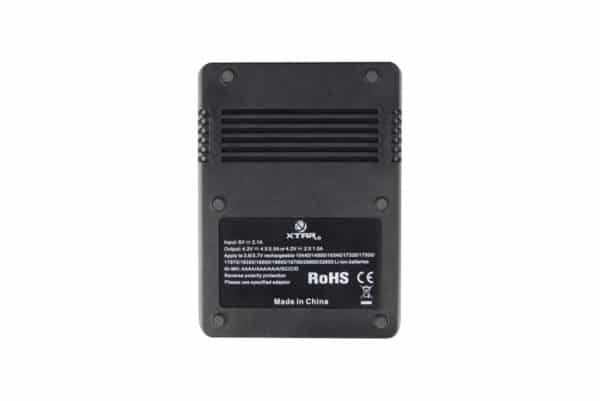 This allows your rechargeable batteries to be supplied with power anytime and anywhere. 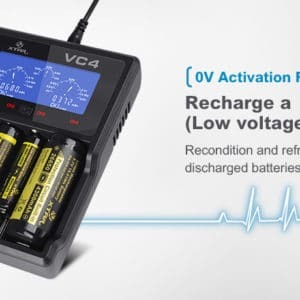 The status and the charge of the batteries can be monitored continuously via the clear display. 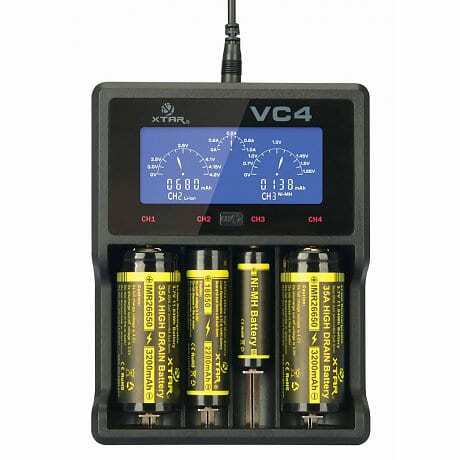 With XTAR VC4, 4 Lithium-ion or NiMH batteries can be charged at the same time. The XTAR is ideal for charging batteries for flashlights, cameras, game controllers, etc. 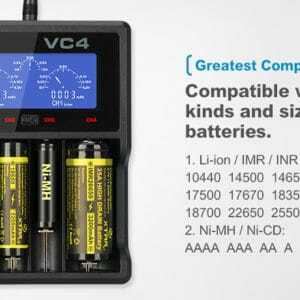 Do you want to charge your battery charger via solar energy? Then charge your electronic devices with one of Mobisun’s mobile solar panels. With a mobile solar panel, you can charge your devices such as a camera or power bank for as long as the sun shines and use them again later. The advantage of a mobile solar panel is that you do not have to bring your own charger for every device. 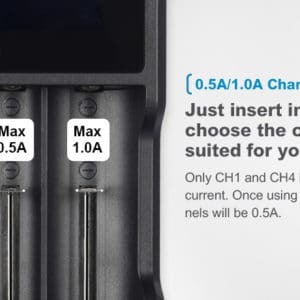 You can supply your devices with new energy via the USB port in the portable solar panels. 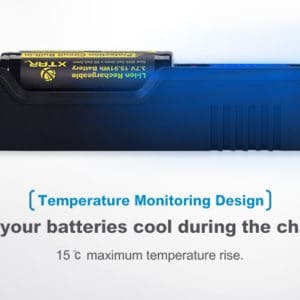 Do you want to order the solar battery charger from Mobisun? We offer free shipping within Europe for orders above €99. Mobisun: bringing portable solar power to the people.